He had demoed five songs before he died. 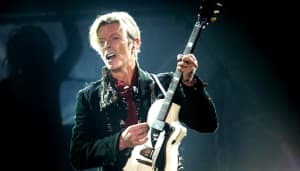 Blackstar is David Bowie's final release, but the recently departed artist was in the early stages of preparing another album, according to a new Rolling Stone interview with his longtime producer Tommy Visconti. Watch the video for “Lazarus” below, and read some more tributes to the legend from other artists.